Had enough of Freeview? Desperate for some extra channels to feast your eyes on? Addicted to Game of Thrones or the Premier League? If you're looking to add hundreds of channels to your TV set then there are four main options to consider for those in the UK. Trying to figure out which one's right for you can be confusing, particularly with so many special deals on the table at any one time. Here we've sifted through the big and small print for you to compare options from Virgin, Sky, BT and TalkTalk against each other. These four pay TV companies pipe content into your home in different ways, though they all use your broadband connection too: BT and TalkTalk use your TV aerial with a YouView box, Sky uses a satellite dish on the wall of your house (though broadband-only packages are now appearing), and Virgin Media uses dedicated fibre optic cabling connected straight to your home. If you can get Freeview, you can get BT and TalkTalk, and Sky is almost as comprehensive (covering about 98 percent of the UK). Virgin Media TV is less widespread: about half of the homes in the country are estimated to be connected to Virgin's network, so if you can't currently get hooked up, then you've already taken one TV provider out of the equation. Broadband bundles make the issue more complicated: the BT and TalkTalk TV packages only come with broadband from the same company, and while you can still get Sky and Virgin TV packages without broadband attached, it's getting more difficult to do - new services like Sky Q are tightly integrated into the router you've got, for example, so these firms much prefer to sell you the whole package together. Sky is the king of pay TV channels: it offers multiple sports and movie channels, plus extras like Sky Atlantic (which shows Game of Thrones). Its sports and film channels are available on BT, TalkTalk and Virgin too. BT, meanwhile, focuses on sports in terms of its own in-house channels, with rights to some Premier League matches and all Champions League games. Virgin Media and TalkTalk don't make any of their own channels but do offer all the key ones from BT and Sky, with the exception of Sky Atlantic. All of these providers give you access to the regular Freeview channels too, together with the likes of MTV, the Discovery Channel and kids' channels, though ultimately it depends which package of channels you decide to go for. In terms of the overall number of channels, Sky wins out with a maximum of 320. Virgin is second (230), BT third (141), and TalkTalk fourth (110). Sky also has the most high-definition (HD) channels with 50 available, although they do cost extra. The good news is there's lots of choice when it comes to picking which channels you want to sign up for and which ones you don't need. It's worth noting that Sky Q, the next-gen service with optional support for 4K, wireless streaming around the house and more besides, is now the default option when you sign up for a new package, with the old system now retired. However, there are different tiers within the Sky Q system affecting whether you can get 4K content and use multiple boxes in multiple rooms, so watch out for these when choosing packages. Likewise, Virgin now has its Virgin TV V6 box with 4K support. With prices shifting so regularly we would point you the official package pricing pages for BT, Sky, Virgin and TalkTalk to do your own calculations, but we will list some of the main options here for reference, all of which were correct at the time of writing. As a new customer, you may well be able to bag yourself a better deal - it's actually worth doing some haggling. If you're adding BT TV to your existing BT broadband, then you can get 80 basic channels for free. At the time of writing you can get more channels and a better set-top box for either £7 or £12.50 a month on a 12-month contract, though Sky Sports (£22 a month for SD, £27 a month for HD) and Sky Cinema (£13.50 a month) are optional extras on top of that. Remember those prices are on top of broadband. As for TalkTalk TV, prices start at £19.95 and go up from there, but that includes your basic broadband as well - TalkTalk gives you the most flexibility in terms of adding and removing channels. Add all 8 Sky Sports channels and it goes up to £28.45 a month, for example. It's a good option if you know exactly what you want and what you don't. Over on Sky, prices start at £25 a month for the basic channels for new customers: for all the good stuff (movies, sports, box sets on demand) you can pay another £30 a month, with various levels in between - remember though that these are cheaper, introductory deals for new customers. If you want the full-fat Sky Q experience with 4K, streaming to multiple rooms, and a bigger hard drive for your recording box, the one-off setup fee is £170 higher, so bear that in mind. Those prices are extra on top of broadband. Virgin TV prices start at £33 a month, but that includes the basic TV channels and the basic broadband option (we told you it was complicated), together with the latest Virgin TV V6 box. The top tier choice - with all the movies and sport you could want - is £90 a month, though remember that unlike the prices we mentioned for BT and Sky, that includes broadband, and the fastest 300Mbps broadband at that. There are various choices between those two extremes. As we've said, you need to consider bundles including broadband and home phone line rental, and don't forget the fees for connection and hardware that you get charged when you sign up for the first time. Fortunately, the calculators on the various broadcasters' websites are pretty straightforward to use, so you can see how much you'll be paying. There are a few more factors to weigh up: each company provides a different set-top box with different features included, although the basics in terms of what you can do are largely the same. All these boxes let you pause and rewind live TV, for example, so if someone knocks on your front door you can pause your show in the meantime. As we've already mentioned, in some cases you can pay extra to BT, Sky, TalkTalk or Virgin for a better box: more space to record shows, more shows recorded simultaneously, a better remote control, better TV quality, support for watching TV in multiple rooms in the house, and so on. Some boxes support smart apps, so you can access the likes of Netflix and iPlayer through the same interface as well. It's also worth investigating the proprietary mobile and web apps made by these firms that come with your subscription, which are always useful for catching up with shows while you're away from home. Most packages let you view a selected number of channels through a web browser too, though you may have to pay extra for the privilege. BT and TalkTalk are similar, in that you must be a BT or TalkTalk broadband customer to get them. What's more, the channel selections are smaller, and the deals are cheaper. 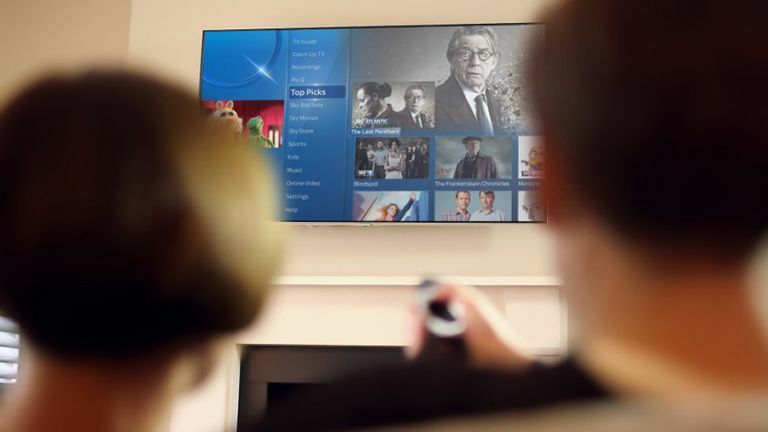 It's best to think of these pay TV packages as optional extras on top of the broadband - an enhanced version of Freeview that would suit those who want premium sports and movies without paying all that much extra. After that it's Sky vs Virgin. If you can get both at your house then it's a very close call indeed: both offer similar channels and similar features at a similar price. It may come down to which deals are available when you're shopping, or who provides your internet: Virgin is reckoned to be slightly superior in terms of its various broadband offerings. Both Sky and Virgin now offer 4K packages, more simultaneous recordings, and a slicker interface compared with Virgin Media. It'll also cost you more, of course, and no doubt Virgin is working on a next-gen service of its own - until then, Sky Q is just about the most impressive pay TV service you can sign up for, even if it comes at a high price.